Ministers were told to take "bold action" today after they revealed traffic on Scotland's roads has increased by nearly one third since 1995. The Scottish Greens said the "stark" 31 per cent increase had caused "ever more congestion and air pollution". They also attacked opponents of the planned workplace parking levy, which seeks to reduce traffic by taxing parking spaces. Vehicles travelled a record 30 billion miles on Scottish roads in 2017-18, according to Transport Scotland - 3 per cent more than the previous year. There were also more vehicles licensed north of the Border than ever before - 3 million - which was 13 per cent higher than ten years before. One in eight journeys were delayed by congestion, but it was 2 per cent down on 2007. John Finnie, transport spokesman for the Greens, whose support enabled the minority SNP Scottish Government’s Budget to be passed, said: “Bold action must be taken to address the thousands of deaths attributable to poor air quality every year. He added: “Many view the increasing availability of electric vehicles as a panacea for all motoring ills. "But, self-evidently, the means of propulsion, whilst welcome in terms of emissions, does nothing to alter the dominance of motor cars in our town and city centres, and with it the view that they are more important than pedestrians and cyclists. Mr Finnie also expressed fears about the "disappointing" continued decline in bus passenger numbers, and a fall in cycling despite ministers "vision" of 10 per cent of journeys by bike by next year. Bus patronage fell to 388 million in 2017, nearly 100m less than a decade before and 6m less than 2016. Mr Finnie said: "The transport bill [increasing powers over operators] presents an excellent opportunity to improve bus services across Scotland, allowing communities to access the services so many rely on. "If the Scottish Government does not increase its ambition on bus services, I will bring forward my own amendments which will offer communities across Scotland better buses. “It’s clear that the Scottish Government’s active travel [cycling and walking] targets won’t be met, with the number of people cycling down by more than 6 per cent. "The transport secretary [Michael Matheson] must urgently review his approach to ensure we see the necessary investment in walking and cycling." However, Mr Finnie welcomed the increase in passengers carried by ScotRail. Previously published figures have showed the total increased by 31 per cent to 97.8 million over the decade to 2017. 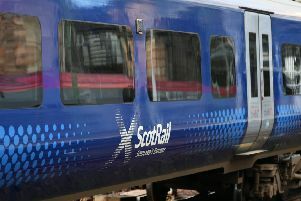 He said: “I am delighted to see Scotland’s railways become ever more popular. However, satisfaction with public transport decreased by 3 per cent, with 69 per cent of passengers very or fairly happy. Gina Hanrahan, head of policy at environmental campaigners WWF Scotland said: “Transport is Scotland’s biggest source of damaging climate emissions and these figures are firmly going in the wrong direction. “Air travel and car travel are at their highest ever recorded levels while bus use has fallen and cycling has seen a 6 per cent drop over five years. “It’s clear we need bold action to support people into cleaner forms of transport to tackle climate change, clean up our dirty air and enhance public health. Scottish Liberal Democrat transport spokesman Mike Rumbles said: “Sadly, the figures highlight how little the Scottish Government is doing to promote active travel in Scotland. “It has failed to deliver on its own targets on cycling. “Since the SNP came to power [in 2007], the share of journeys made by bicycle has only increased by 0.7 per cent. “That just shows the complete lack of imagination in the SNP administration. Mr Matheson said: “Today’s statistics illustrate why our current policies to develop a more sustainable transport network in Scotland are so important – and I believe that through the steps we are taking to empower local authorities and support greener travel, we can work together to shift behaviour by encouraging more people out of their cars and on to public transport, walking and cycling. “Three million motor vehicles are currently registered in Scotland, which is 13 per cent higher than in 2007 – and so it is remarkable that since 1995, there has been a 31 per cent rise in traffic and a 57 per cent fall in accidents at the same time. "We should all welcome the fact that in 2017 the total number of casualties on Scotland’s roads fell to their lowest level since records began. 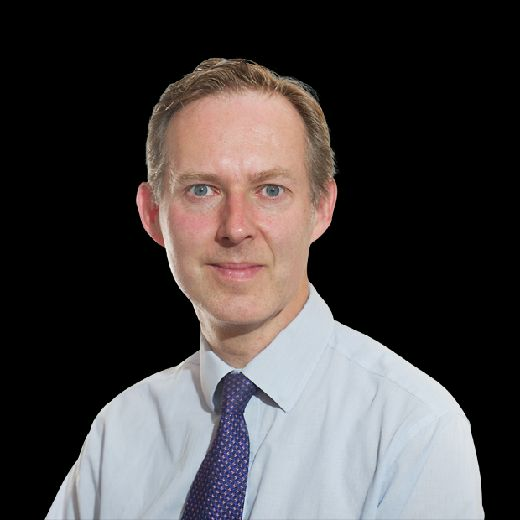 “When considering how people travel to work, rates of walking and cycling remain fairly stable and I’m optimistic that more people will choose active travel in years to come. "Cycle journeys to and from Glasgow city centre have more than doubled in less than ten years, and with more infrastructure shortly being completed across Scotland’s cities, we anticipate to see more walking and cycling having doubled the active travel budget in 2018 and having maintained this record level of funding for 2019. “Although the majority of public transport trips are made by bus, I remain concerned that bus use continues to fall – and this is a trend we see across the UK. "We are continuing to spend over £250 million a year to support our vital bus industry, working with operators to keep fares at affordable levels and providing free bus travel to older and disabled passengers. “Additionally, the forthcoming transport bill will empower local authorities by providing options to improve bus services in their areas – giving them a greater choice in how to deliver a sustainable bus network for customers.